In stock -This product will ship today if ordered within the next 8 hours and 35 minutes. The Relationship Essence Drops may help to support the quality of your relationships, especially intimate ones. It can help to clear the mind and release feelings of tension, confused emotions, or negative feelings. Bluebell, Boab, Bottlebrush, Bush Gardenia, Dagger Hakea, Flannel Flower, Mint Bush, Red Helmet Orchid, Red Suva Frangipani, Wedding Bush, 67% Purified Water, 33% Brandy (12.5% alcohol). 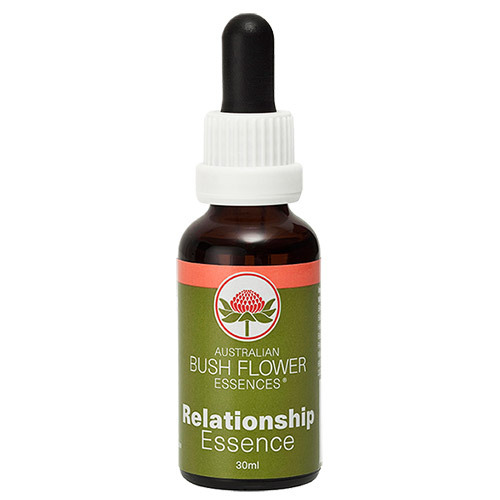 Below are reviews of Australian Bush Flowers - Relationship Drops - 30ml by bodykind customers. If you have tried this product we'd love to hear what you think so please leave a review.